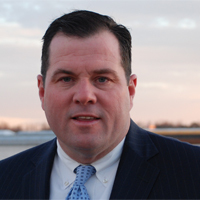 Mr. McMahon specializes in maritime personal injury defense, longshoreman personal injury defense, maritime collisions and property damage claims arising out of maritime casualties. Mr. McMahon also represents clients in commercial litigation, contractual indemnity disputes, insurance coverage disputes, and defends clients against OSHA citations and BSEE investigations. Mike received his Bachelor in Accounting (1989) and his Masters in Accounting from the University of Mississippi (1992) and his J.D. from the Loyola University New Orleans School of Law (1995). He served as Law Clerk in the United States Eastern District Court for the State of Louisiana. He is admitted to the Louisiana (1995) and Texas (2004) Bars and all State and Federal District and Appellate Courts throughout Louisiana and Texas. He is a member of the Federal Bar Association. He is a licensed Certified Public Accountant (inactive) and is a member of the American Institute of Certified Public Accountants and former member of the Louisiana State Board of Certified Public Accountants. Mike is a former member of the Board of Directors of the Mariner’s Club of the Port of New Orleans and served as President in 2008. In Re the Matter of Marquette Transportation Company Gulf-Inland, LLC, 2014 WL 5040690 (E.D. La. Sept. 29, 2014). Slatten, LLC v. Royal Caribbean Cruise, Ltd., et al, 2014 WL 5524464 (E.D. La. 2014). Combo Martime, Inc. v. U.S. United Bulk Terminal, LLC, 626 F.Supp.2d 635 (E.D. La. June 3, 2009) revised and remanded, 615 F.3d 599 (5th Cir. 2010). Nase v. TECO Energy, Inc., 2010 WL 924290, (E.D.La., 03/09/10) (NO. CIV. A. 09-7659). Shull v. United Barge Lines, 2010 WL 745006 (E.D.La., Feb. 26, 2010), C.A. No. 09-5515. Bonneau v. F&S Marine, 2010 WL 1254552 (E.D.La. 2010). Mark W. Lambert v. TECO Barge Line, 2007 WL 2461681 (E.D.La., Aug. 23, 2007) C.A. No. 06-2390. Lambert v. Teco Barge Line, 2007 WL 2461681 (E.D.La., Aug. 23, 2007), C.A. No. 06-2390. Holman v. Applied Drilling Technology, 2007 WL 1577660 (S.D.Tex., May 31, 2007), C.A. No. 05-3830. Latulas v. Montco Offshore, Inc., 2006 WL 1004980 (E.D.La., April 17, 2006), C.A. No. 03-3544. Murrell v. Hooter, 892 So. 2d 680 (La.App. 5th Cir., Dec. 28, 2004). Lopinto v. Crescent Marine Towing, 2004 WL 1597029 (E.D.La., July 16, 2004), C.A. No. 02-3364, C.A. No. 03-0235, C.A. No. 02-2983. Holmes v. Atlantic Sounding Co., Inc., 2004 WL 5570464 (July 1, 2004), C.A. No. 03-2319. McAtee v. Chevron USA, Inc., 2003 WL 22533620 (E.D.La., Nov. 6, 2003), C.A. No. 01-2536. Lakes of Gum Cove Hunting & Fishing, L.L.C. v. Weeks Marine, Inc., 182 F.Supp. 2d 537, (W.D.La., Nov. 19, 2001) C.A. No. 99-2005. Western Atlas International v. Levine, 1997 WL 608729, 1997 AMC 2366, (W.D.La., March 19, 1997), C.A. No. 95-2026.